Thanksgiving is a time when you remain occupied with things like arranging for food and decoration for your friends and family. While every chore that comes your way on Thanksgiving leaves you stressed, you get an additional dose of this tress from your kids who run around in the house and keep damaging belongings along the way. 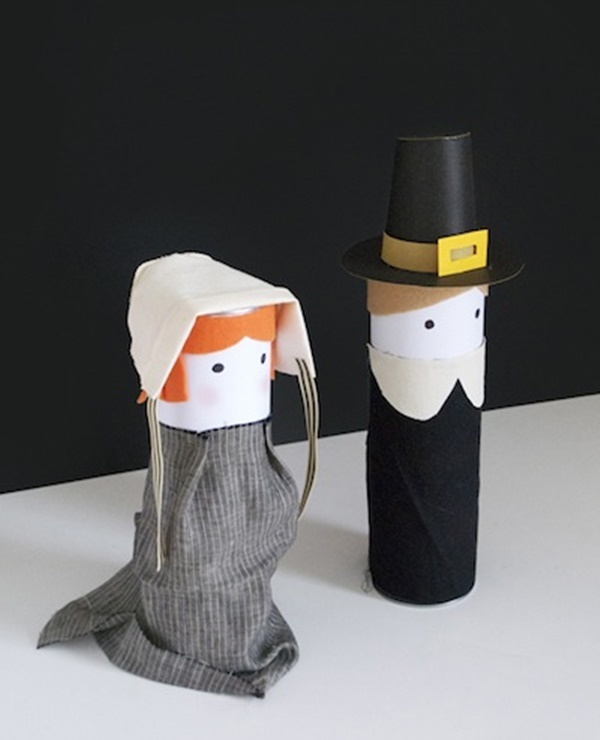 There are many Thanksgiving Activities To Make The Kids Table More Fun, but there is nothing easier than creating a toilet paper roll turkey. 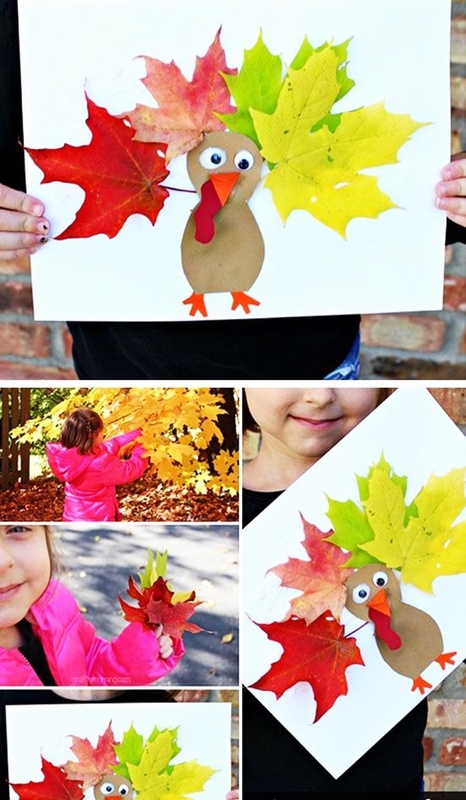 All you need is a toilet paper roll, some colors, and some colored papers, and you can create your Thanksgiving turkey without much hassle. Pumpkins have a deep association with thanksgiving. 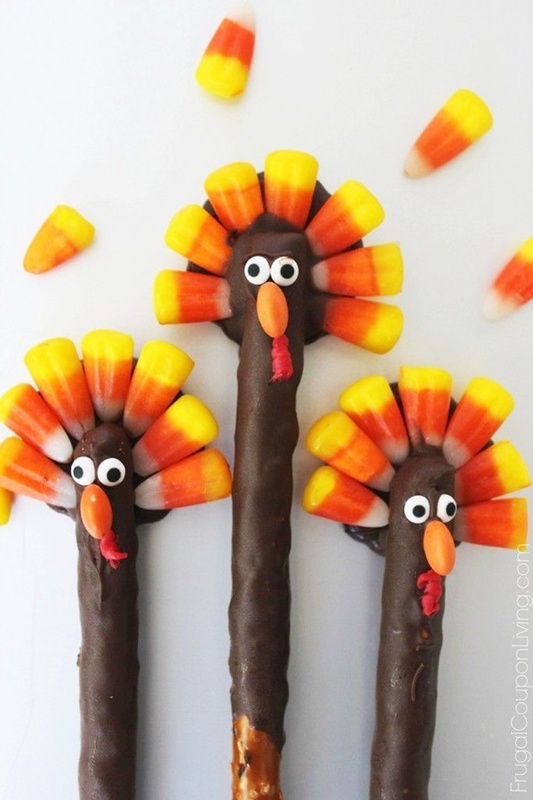 If lollypops are on your menu, then you can create a pumpkin stand for them. Just make sure your pumpkin is a little sturdy. 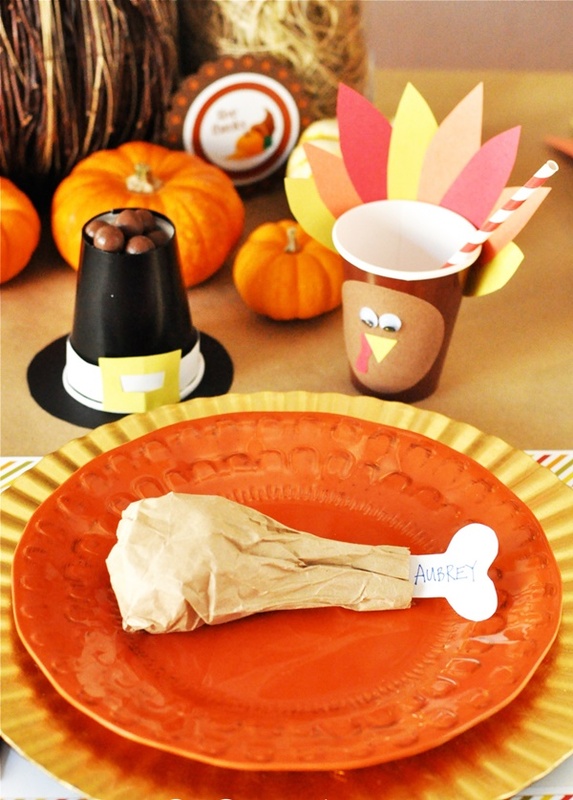 When it comes to Thanksgiving Activities To Make The Kids Table More Fun, you can’t overlook a turkey pen holder. 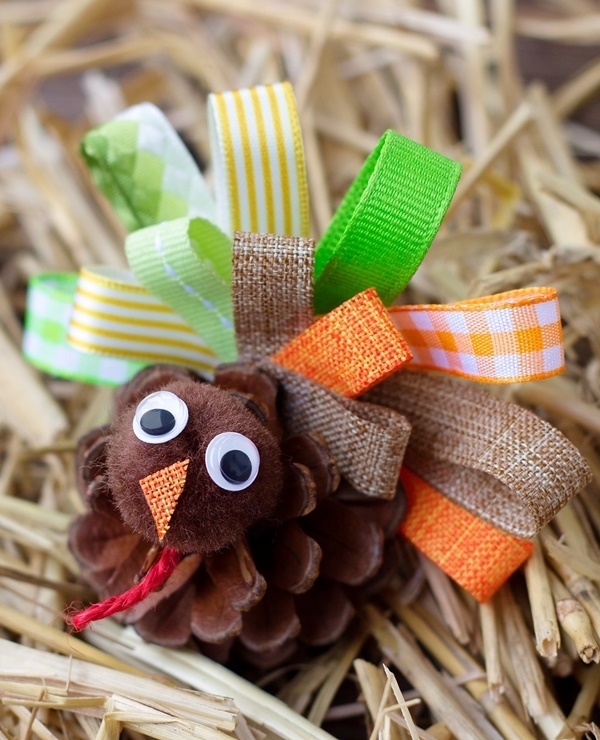 This pen holder appears to be a turkey will add beauty to your kid’s table. A hat bears a great deal of importance in thanksgiving. 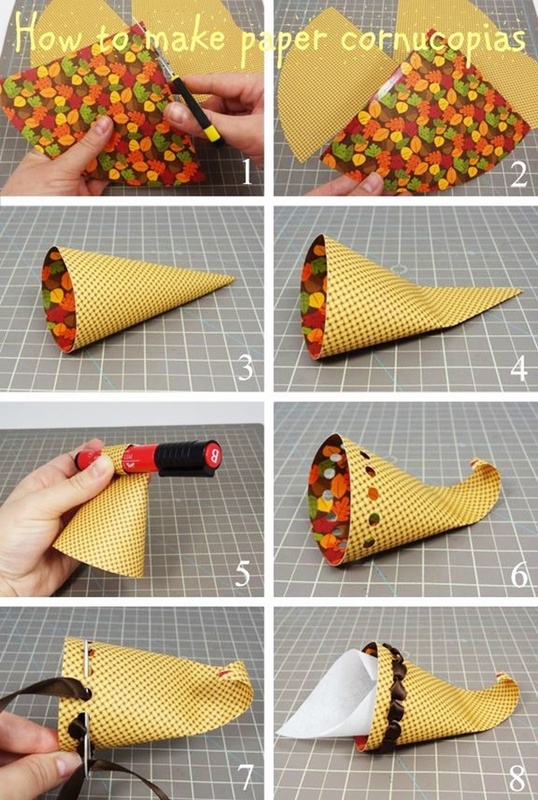 Help your child create a hat-themed crayon holder for their loose crayons and make their table more functional. 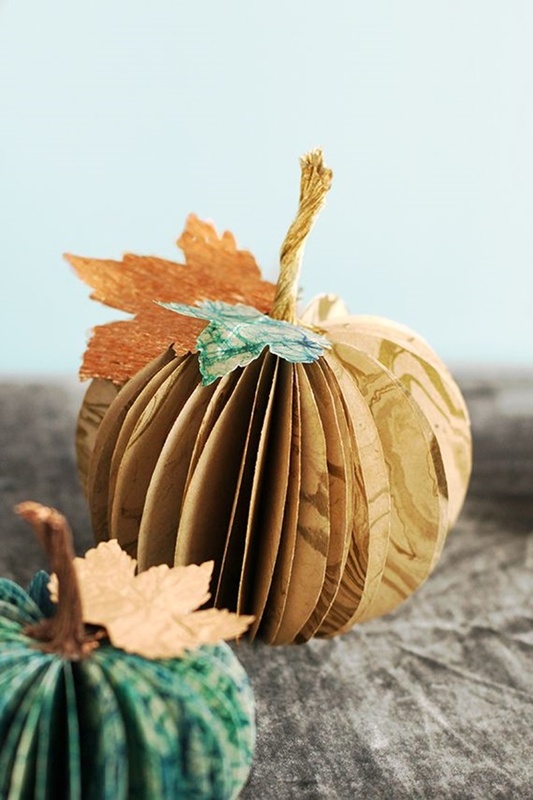 Crafting a pumpkin made out of paper strips can be a great activity to engage in for Thanksgiving. Writing special gratitude notes on the strips on paper only adds to the relevance of this craft. Paper trees are easy to create. 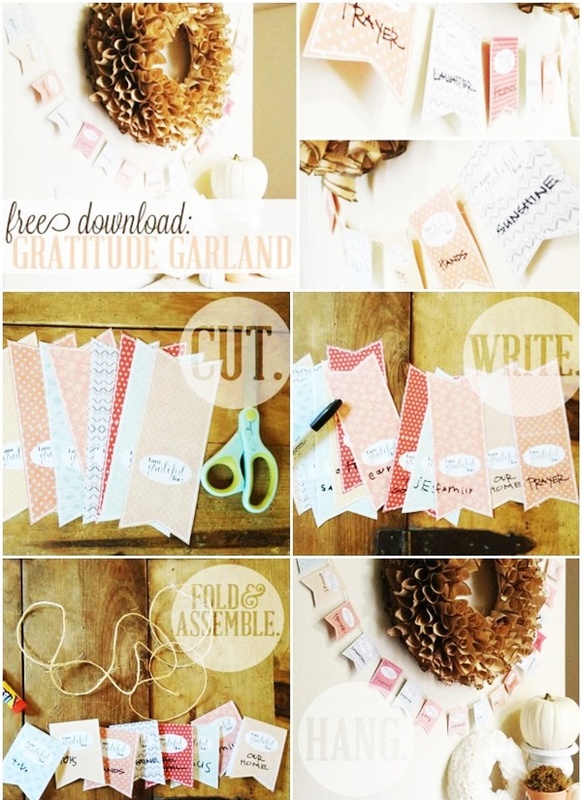 With cardboard, color papers and other basic crafting tools, you can create as many trees of thanks as you want. 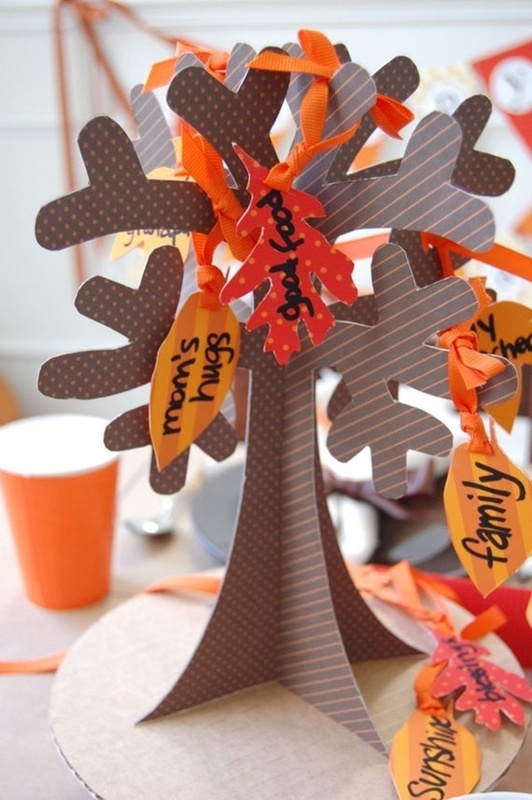 The leaves of the tree can be used to write gratitude notes. 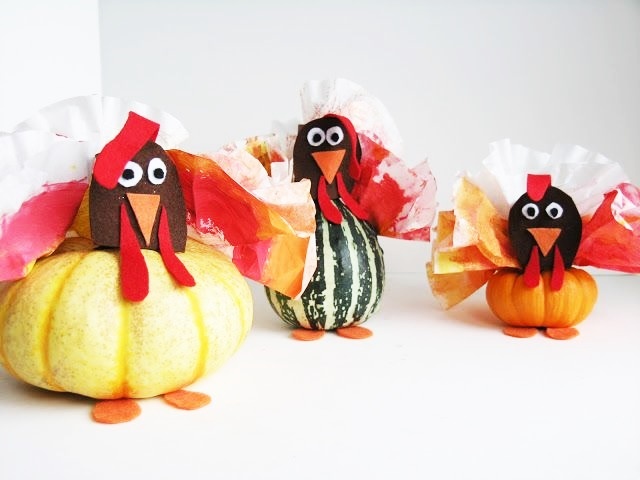 Turkeys symbolize the occasion of thanksgiving. 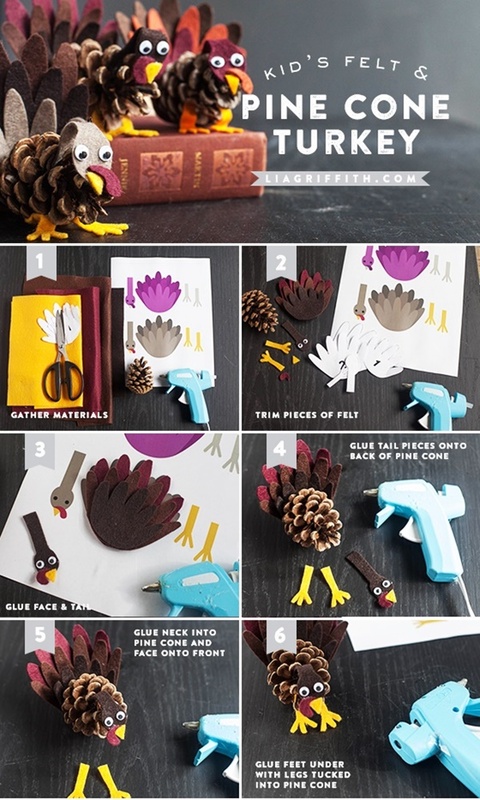 So, with a paper turkey created with basic craft supplies, you can create an amazing table décor item. 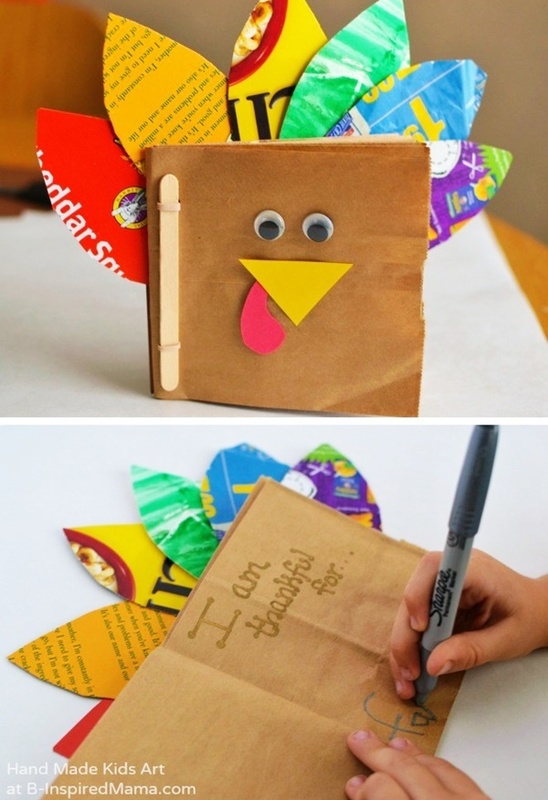 Write notes on the feathers of the turkey to show your gratitude to your family. 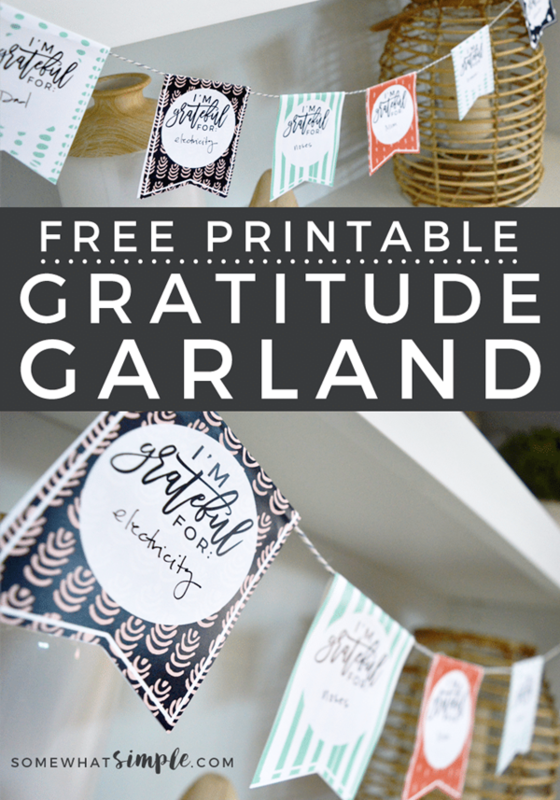 Create a handprint garland, a fall leaf garland or any other garland based on any theme and write gratitude notes on the individual units of the garland. Use it to decorate the wall immediately above the kids’ table. Cornucopias are fun to create. 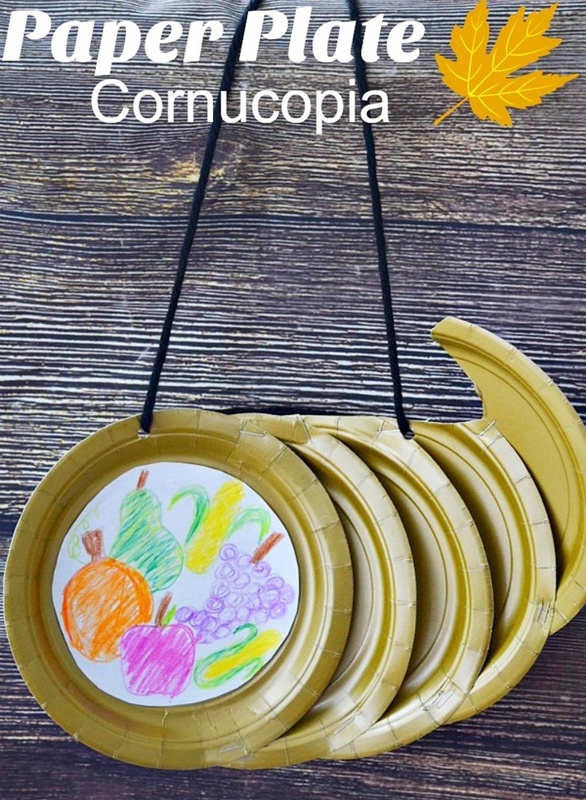 And with good quality paper, your child can create some really amazing cornucopias. 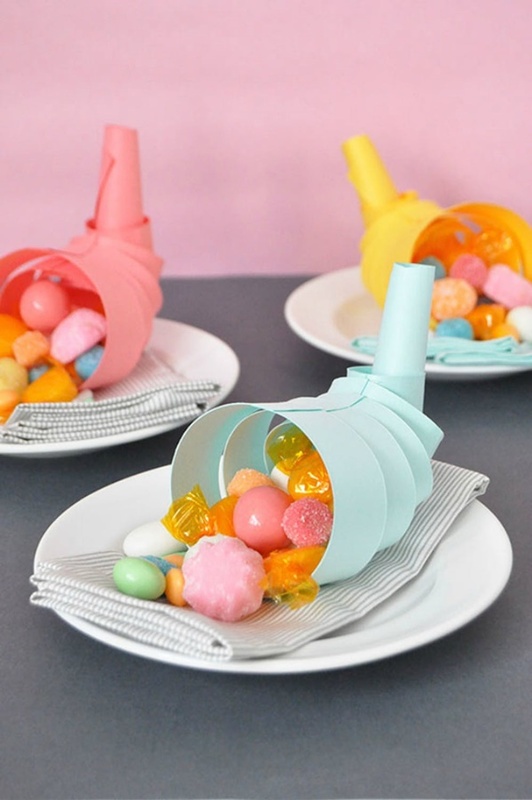 Stuff them with dry fruits or other items and use them to decorate their table. 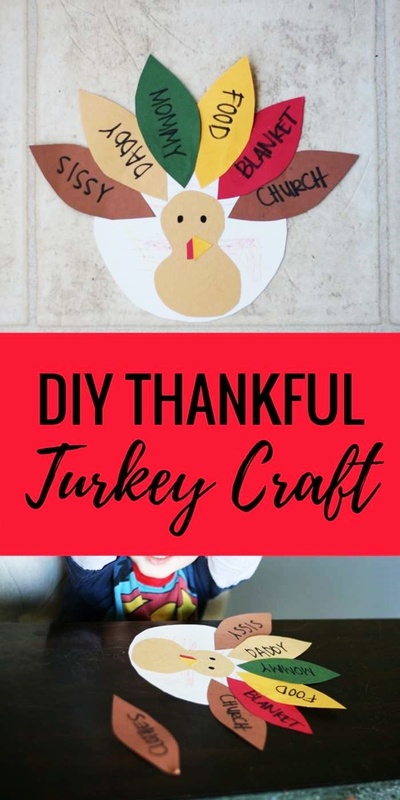 If you have some pine cones lying in your drawer, then it’s time you took them out and created some amazing turkeys with them. 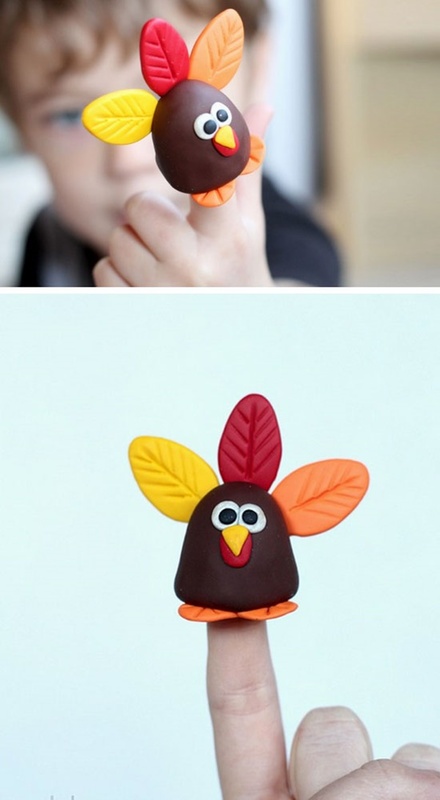 Pinecone turkeys are easy to create and guess what, they look pretty much like real turkeys. Thanksgiving means joy for sure. But the joy will simply double when you will have items created by your kids everywhere in the house. How can you say no to this joy? 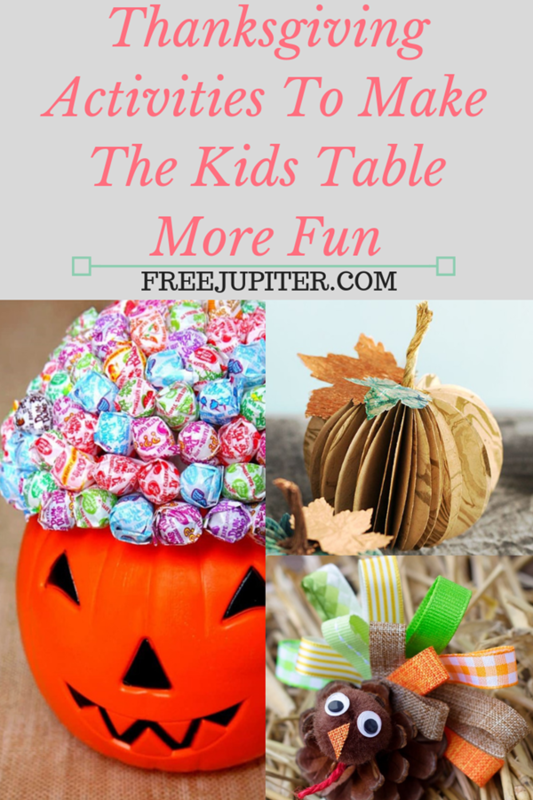 Well, checking the above Thanksgiving Activities To Make The Kids Table More Fun is not enough, you must also implement them so that your kids feel good about themselves and you feel proud of them.